RACE WEEK!! Cap City’s 15th anniversary party is right around the corner! This Saturday is RACE DAY! Anyone else excited (but anxious) for the Cap City Half Marathon? We have a fun week filled with a short group run, a 15th anniversary VIP reception, a visit to the expotique at The Vue Columbus, the race (duh) and of course, the after-party in the Cbus Commons! Many local companies will be present or represented this year, my favorites including Homage, Land Grant Brewery & Cameron Mitchell. We have had a loooooong winter with too many cold runs. We have fought through wind, rain, snow and sub-zero temps. Some of us have dealt with injury. First timers and those trying to PR may be trying to control anxiety. Many ran & trained on vacations and business trips across the United States (and maybe beyond!) As you reflect back on your training and look forward to Saturday morning, remind yourself of all the hard work you’ve done and be proud of yourself, no matter what happens. 1. Stay hydrated and eat healthy. 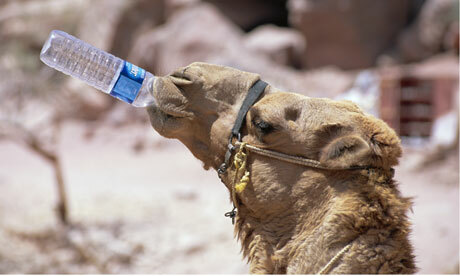 Hydrate all week! I’ve learned to hydrate Mon-Fri, but then cut back a bit at Friday’s bedtime and into race morning. I prefer not to have to stop for a pee break along the course! The few days leading up to the race, try to consume only “normal” foods that your body is used to. This is not the time to try something new that may give you stomach issues. Eat clean so you feel great! Race morning breakfast // your standard, pre-long-run breakfast ~ don’t try anything new! For shorter races I just have a banana with peanut butter, but for longer races (halfs and fulls) I’ll throw in a piece of bread or half a bagel. Eat early enough that you can hopefully make a potty stop before the gun shot start. I’m usually a ball of nerves and not at all hungry, so I have to force this. Heck, I’m nervous just writing this post and *thinking* about race morning! Race day fuel // again, use only what you’ve tried previously. Some are okay on just water and/or a Gatorade type beverage along the course. I usually do some light fueling (a few HoneyStinger gummies) somewhere along the half way mark and a swig of water towards the end. This year, Cap City is offering a Carb Boom! Energy Gel station around the 6.5 mile marker. 2. Try your best to get some quality sleep. They say that its the “night before the night before” race day that you have a chance of getting some rest… and I’d agree. So for a Saturday race, you may not sleep well Friday night (pre-race jitters, early morning rise & run), but try to get a good night’s sleep on Thursday night. 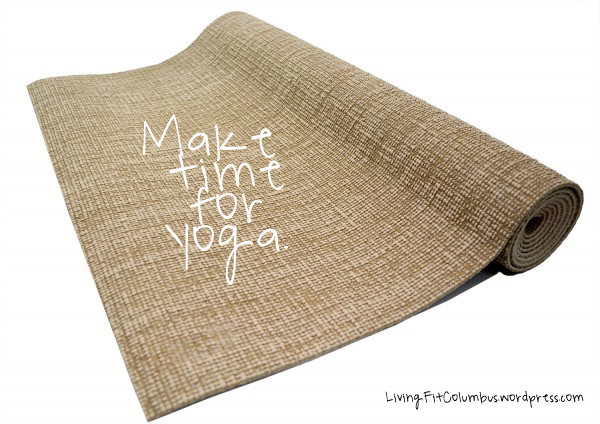 Some bed-time yoga may help you fall asleep! 3. Make arrangements to get your packet at the expo. Don’t forget this important detail! This can be a challenge if you’re doing an out of town race and the expo ends at say, 7PM the night before, so plan accordingly. Many races will allow a friend to pick up your packet for you, but know the requirements. 4. Plan out race morning & all the details. Have your clothes, socks, shoes, race bib, safety pins, Garmin/iWatch, race fuel, music playlist, poncho, throw aways ~ anything you need ~ ready the night before. It’s also best if you’ve done a (long) run in your race day attire. Figure out where you will park, what time you need to leave and where you will meet up with loved ones or spectators. We like to be down in the area around an hour before the gun start. You may also want to hit up the good ol’ porta pot! Run through your finish line goals! I always recommend having more than one… that way you don’t feel defeated. I’m not going for a PR this race and ideally I’ll be able to hang with the two hour pace group… but any finish is an accomplishment, so that is always the main goal! 5. RELAX!!!!!! You have done the hard work! You have likely logged a training run somewhere close to your race distance [we got in a 12 miler]. 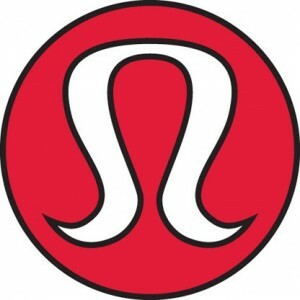 Some like to do a yoga session or short, easy walk/run the day before to relieve some jitters. Some will do a SHORT “shake out” jog the morning of. Get some rest, show up on time, start your power play list (I usually save mine for mile 10 and try for a strong 5K finish) and be ready to take some fabulous pictures at the finish line! YOU GOT THIS! Cheers to another 13.1 or whatever your distance! See you at the finish line party Columbus! Still got time? Check out some of our training memories from this year’s road to Cap City! Hope you choose #1 or #2! Happy reading and happy Tuesday! 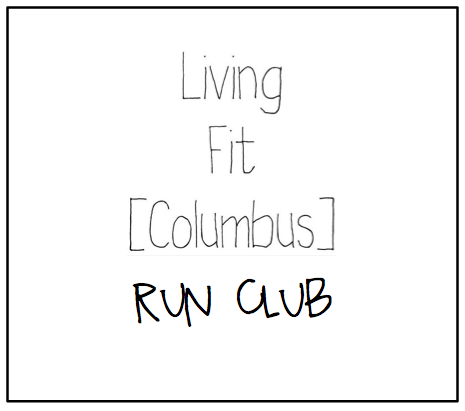 Our Living Fit Columbus running group will be meeting tomorrow morning for an 8-10 mile run. Mileage ~ Most of us are training for the Cap City Half Marathon. Beginning runners will cover 8 miles while intermediate runners are encouraged to do 10. Thousands of runners around Columbus are counting down the days to the Cap City Half Marathon on May 3. Our group has seven runners training for it, several of which are first-timers. As your long runs creep past 60-90 minutes, some people begin to use ‘fuel’ while running. You CAN run a half marathon without fuel (just drinking water), but I typically do refuel around the 60 minute mark. I LOVE Honeystinger chews but other popular favs are Gu (liquid & chomps) or even just Gatorade. SEE WHAT WORKS for you during training runs, as you don’t want to try something new on race day! I don’t recommend trying any new type of fitness that you haven’t tried before, just to be safe. Insanity, CrossFit, Speed work… if your body isn’t used to it, no sense subjecting yourself to injury this late in the game. Wait until after race day. The same goes for pre-race breakfast as well as your race-day outfit. Try something NOW, during your long training runs, to make sure your body likes it! 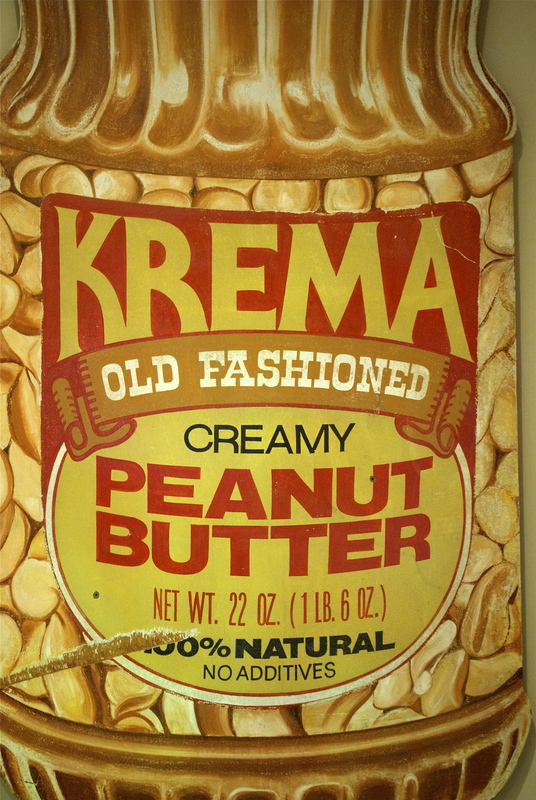 My go-to pre-race meal is typically half of a whole grain item with [yummy oh-so-delicous Krema Nut] peanut butter and a banana. I stay away from coffee on race day, but I know runners that gulp it. I also ALWAYS test out my outfit at least once. If you need new shoes, DO IT NOW. I recommend at least 3-4 weeks of running in shoes to break them in. I made the mistake of buying new shoes one week before running the Pittsburgh Marathon… you do NOT want the blisters I ended up with, not to mention a potential injury! Tapering is an important part of training. More on this later. Don’t go too hard those last couple weeks. I’m sure there is other good advice out there, but those are my top five pointers. Enjoy your last month of training… all your hard work is about to pay off! Do you have any TIPS for that last month of half marathon training? Please SHARE and send COMMENTS! We are HALF WAY to race day! We posted some info last week on SPEED TRAINING, so feel free to check it out! 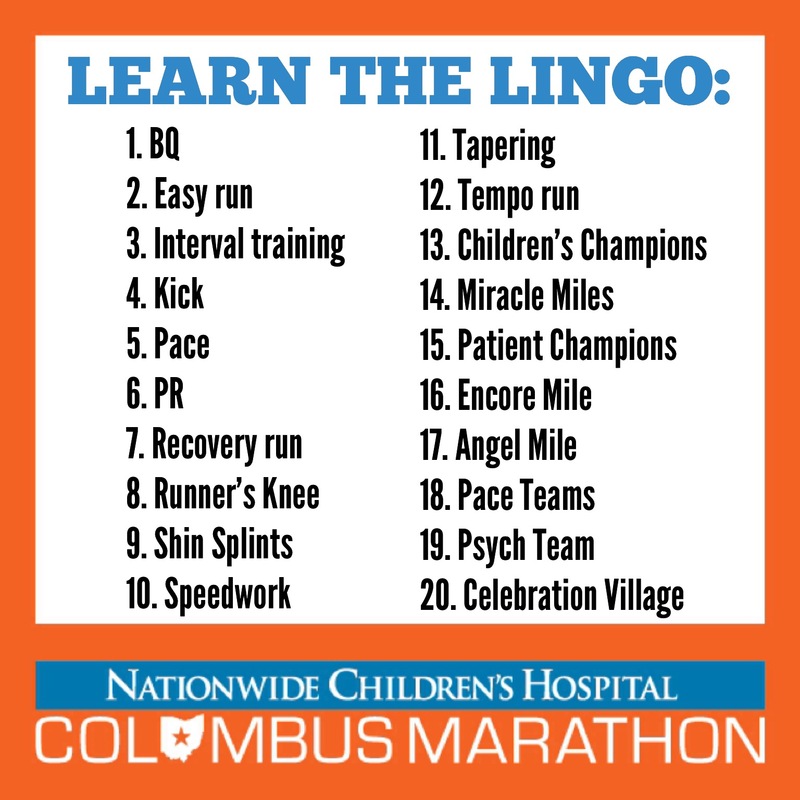 **SIDENOTE** We will NOT be posting weeks 7 – 12… to get the rest of our training plan, you have to come join us for a run or email LivingFitColumbus@gmail.com 🙂 Tricky, aren’t we!!!! 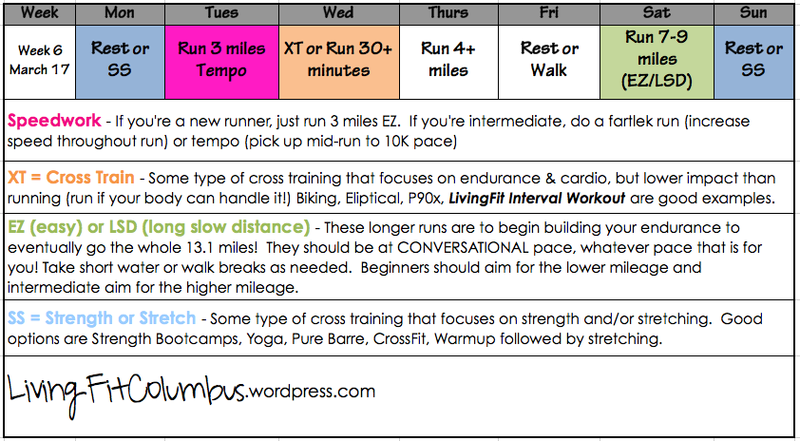 Speed Training // Fartleks & intervals & tempos, oh my! Speed training is a key ingredient in any Personal Record [PR], although I wouldn’t advise it for beginning runners (as injuries could creep up). When running my second half marathon, I took TEN MINUTES off my finish time, simply by adding in some key speed & hill sessions! helps you PUSH through mental barriers of doubt & discomfort ~ you CAN keep going! is a fat-blasting, metabolism-boosting workout! Bonus, yay! Fartlek [speed+play] – accelerate when you feel like it, then back off when you want… have fun with it! Interval Training – vary speed/intensity for a set amount of time, followed by a recovery period . Think ~ jog 2 minutes, sprint 1 minute, repeat 5 times. For a hard one, try Bart’s Yasso 800‘s training plan… 10 = ouch! Tempo Run – warmup followed by a sustained effort run (typically at or just under 10K pace) finished with a cool down. Runner’s World suggested tempo distances are 2+ miles for 5k training, 4+ miles for 10K, 6-8 miles for the half and 8-10 for the full marathon. Hill Work – hill repeats or running rolling hills – help increase leg strength. Most people hate them! How often should I do speed training? Beginning runners – build your base mileage and “healthy” running regimen before you introduce speed. Intermediate runners – choose one day (we do Tuesdays) to alternate the various types of speed work each week. Then allow yourself recovery time before doing another ‘hard’ day. Advanced runners – the elites typically have two-three speed drills per week. A common schedule has intervals/hills on a Tuesday, then tempo on a Thursday. When you’re running and that voice in your head that starts saying to you, “slow down, your ankles are hurting” tries to get you to stop, that’s when you keep on running and breakthrough. When you learn to defeat that person inside that tries to get you to stop, you can defeat anything that stands in front of you. Anything that’s blocking your way toward your true purpose, destination and goal. Watch his video clip HERE!